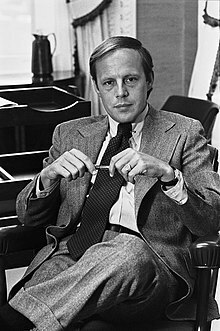 For other people named John Dean, see John Dean (disambiguation). ^ "The Nation: How John Dean Came Center Stage". TIME Magazine. 101 (26). June 25, 1973. Retrieved January 26, 2017. ^ "Virginia State Bar Attorney Records Search (citing to 12 November 1973 revocation of license following hearing of Disciplinary Board, VSB Docket No. 74-CCC-7004)". www.vsb.org. Retrieved January 26, 2018. ^ "Taylor Branch | Biography". taylorbranch.com. Retrieved May 2, 2018. ^ Savransky, Rebecca (February 26, 2018). "John Dean warns Gates's testimony may be 'the end' of Trump's presidency". TheHill. Retrieved February 26, 2018. ^ Edwards, David (February 25, 2018). "'The end of his presidency': John Dean says Rick Gates' testimony could bring down Trump for good". Raw Story. Retrieved February 26, 2018. ^ Mazza, Ed (February 26, 2018). "Watergate Figure John Dean Says Rick Gates' Testimony Could Be The End Of The Trump Presidency". Huffington Post. Retrieved February 26, 2018. ^ Terkel, Amanda (September 16, 2018). "Here Is What Brett Kavanaugh Said About Sexual Misconduct In His Hearings". Huffington Post. Retrieved September 19, 2018. ^ "Kavanaugh hearing: John Dean warns of a Supreme Court overly deferential to presidential power". Washington Post. Retrieved September 19, 2018. 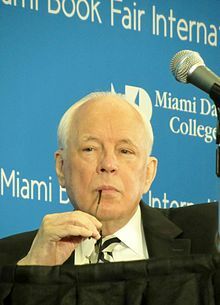 ^ "John Dean: If Kavanaugh's confirmed, a president who shoots someone on Fifth Avenue can't be prosecuted in office". NBC News. Retrieved September 19, 2018. ^ Haltiwanger, John (November 7, 2018). "Richard Nixon's White House counsel says Jeff Sessions' ousting 'like a planned murder'". Business Insider. Retrieved November 7, 2018. ^ Fenwick, Cody (November 7, 2018). "Watergate's John Dean Explains How Trump Planned Sessions' Firing 'Like a Murder' — And Details How Mueller Could Protect the Probe". AlterNet. Retrieved November 7, 2018. 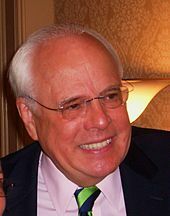 Wikimedia Commons has media related to John Dean.